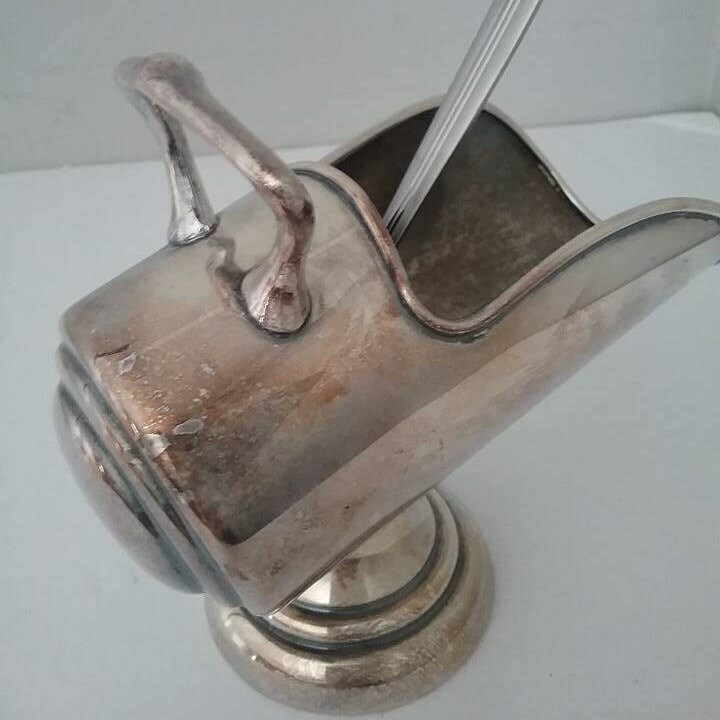 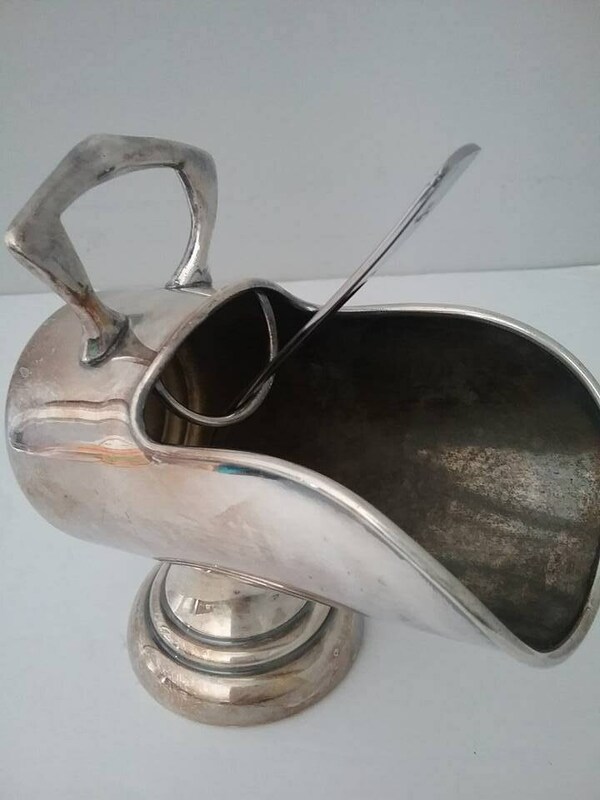 Silver plated pedestal sugar skuttle. 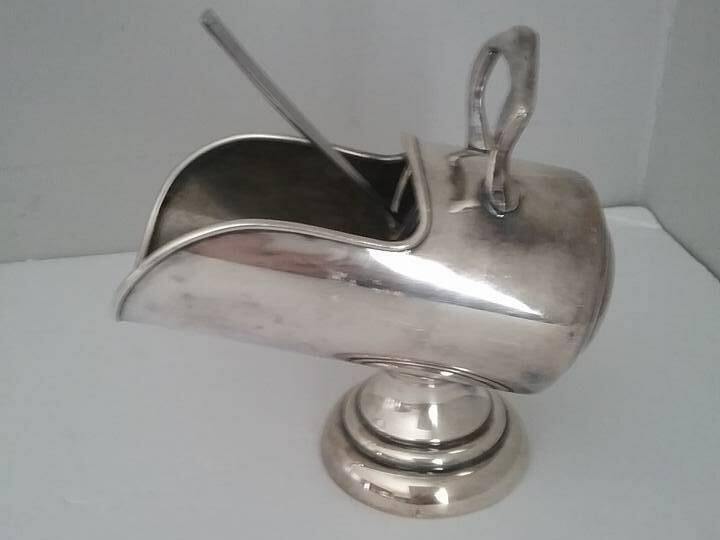 Silver plated markings on inside, Made in Canada markings. 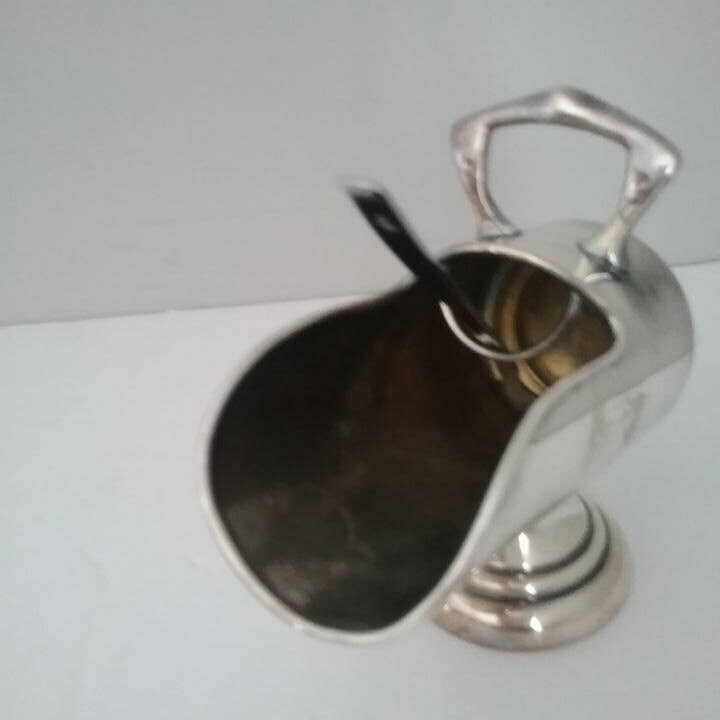 Silver plated pedestal sugar skuttle, coal skuttle style. 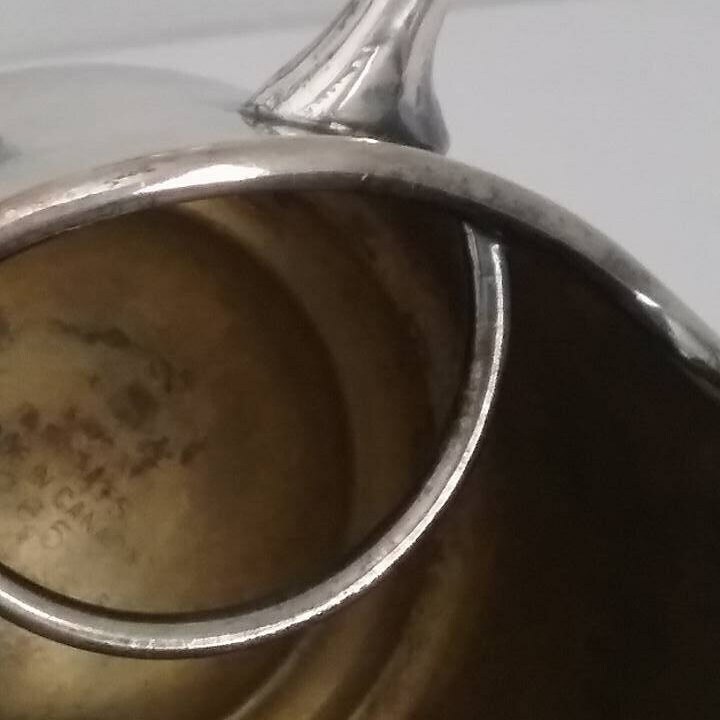 Vintage condition is very good....some tarnish that should tidy up with polish.